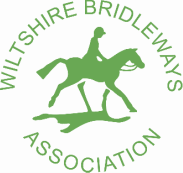 Find out first and book your place by being a valued supporter of The Wiltshire Bridleway Association ! ​we have been forced to postpone this May's Savernake ride. Can you help us with a fundraising activity? We would like to hear from supporters who could propose a fun ride route or organise a talk or tack swap shop event that would promote what we do to other users of the bridleways and byways in Wiltshire and get us more subscribing supporters. and benefit from being kept up to date with rights of way in your area, help to resolve issues with your local bridleways, early bird ride notification, entry fee reduction and feel great about supporting vital work to protect the future of our Wiltshire rights of way! Do you ride on Salisbury Plain? Your committee are seeking your help with identifying additional venues. We are also looking for volunteers who would be willing to get involved with the organisation of such pleasure rides. a. Help to advertise the Wiltshire Bridleways Association to a wider audience and thus increase support and donations. b. Raise additional funding to enhance the work of your Association. Thank you in advance, your committee looks forward to hearing from you. Vee will tailor the ride to suit you, either as an individual or a small group, in the most wonderful riding country around Fyfield/Rockley area. £20 per person to WBA fighting funds pot which is there should legal assitance be required to protect a bridleway form diversion or perhaps extinction.